EDIT: Amore no longer exists and has been replaced by what looks like a Mexican restaurant (but as of 21/08/2012 that hasn’t opened either). Amore is a newly-opened Italian restaurant in Dalston with puzzlingly few customers as they serve delicious and good value rustic Italian dishes. 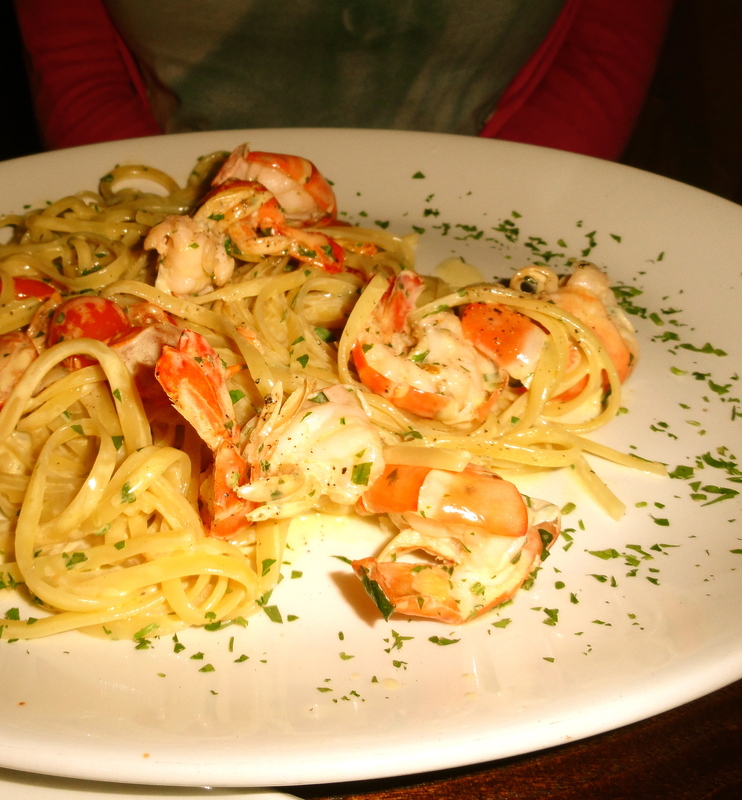 (Although, rumour of their dishes may have spread as I spied it almost full yesterday). 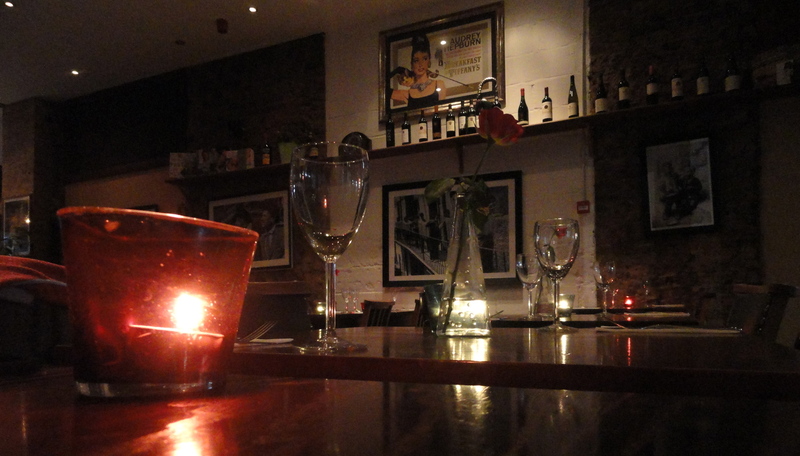 As the name implies, and the website clearly states, the theme here is romantic – Eros Ramazotti in the speakers, roses on each table, candles lit, dark place. In fact the romance is so exaggerated it must be a little tongue in cheek. 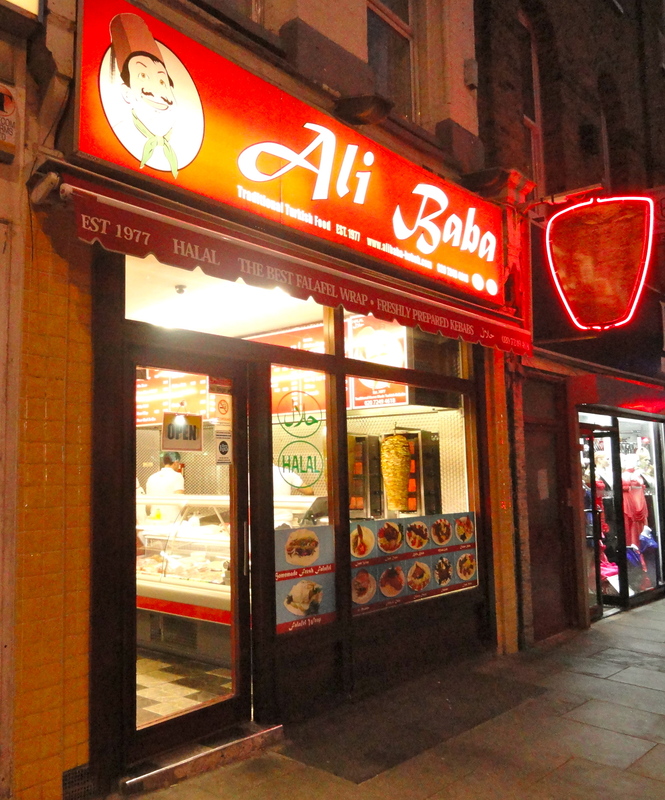 Some of the rioters who smashed up shops in Hackney last summer were so fond of Ali Baba’s kebabs that owner Cerkan was pre-warned by masked people on bikes before things kicked off on the 10th of August. Rumour has it they demanded free kebabs before heading on (but whether they went for lamb kofti or chicken shish in unknown). The threat was countered by anti riot-page on Facebook, and instead of closing up, the kebab shop workers and store owners of Dalston took to the streets with döner knives and broomsticks to defend the community, and in a bizarre turn became Daily Telegraph heroes. Oh well, that’s how it goes in Dalston. These kebabs are in my opinion the best post-club grub in Dalston, and they are also incredibly edible during the day. 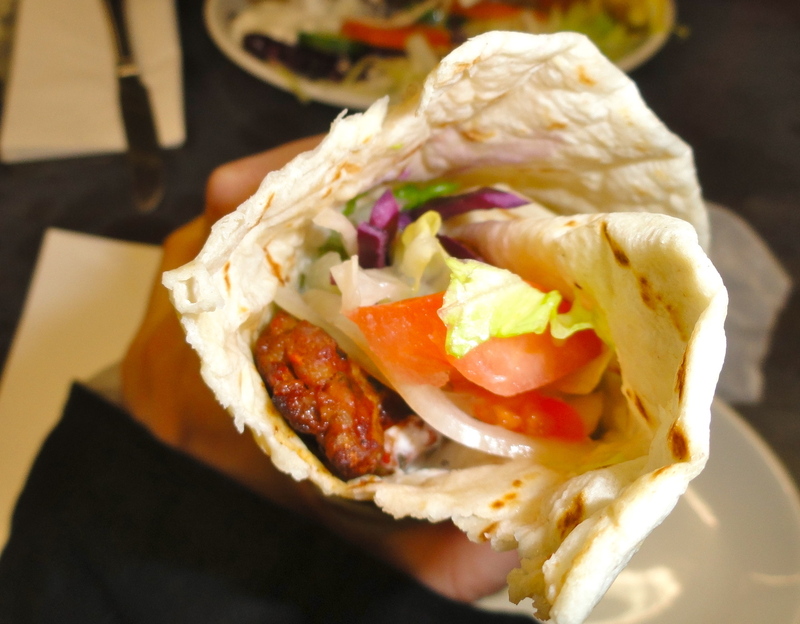 The döner and chicken shish kebabs sold in here are similar to other kebab shops (yet of high standard) but the feat of Ali Baba’s if their lamb kofti. The large lamb kofti at £5 is succulent and herby, and strongly recommended with mixed garlic and home made chili sauce. For its location one would have expected it to be slightly cheaper, however, and they sometimes get orders mixed up. 6.5 meatballs out of 10. 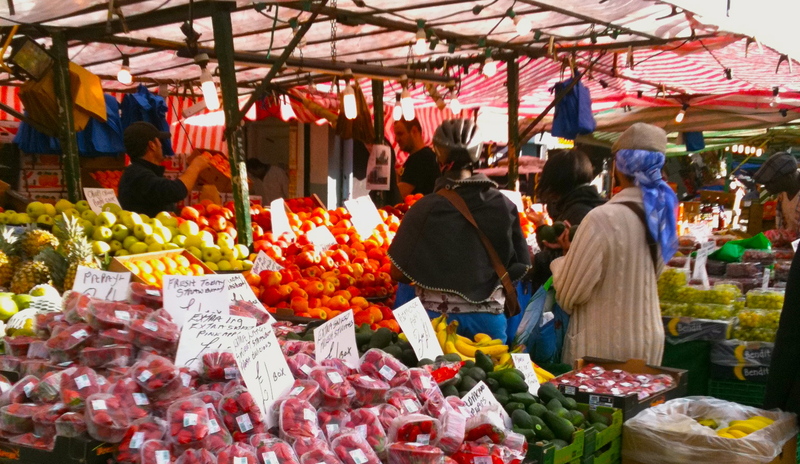 In preparation for the weekend and hopefully some sunny weather, we’ve decided to give you a mini-guide of some of our favourite markets in London. In procrastination-overdrive we even made a map with details on where they can be found.